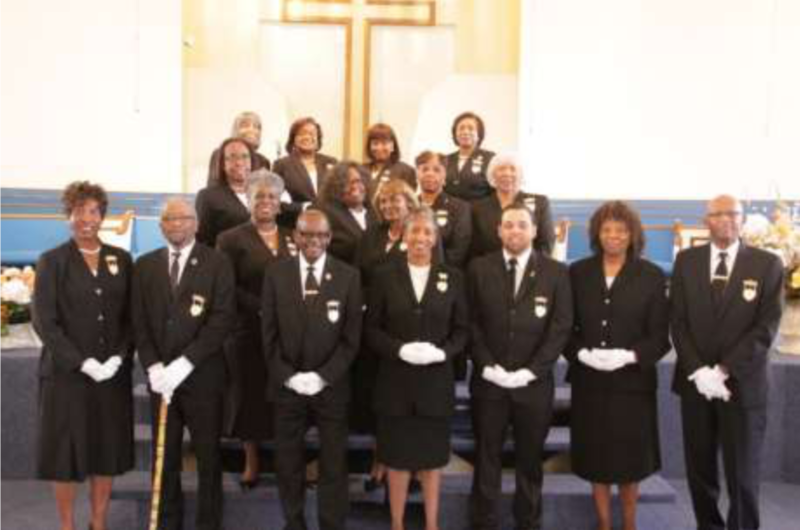 The Palma Ceia Baptist Church Usher Ministry is one of the most organized and well-trained usher boards in the Bay Area. When you are a member of the Usher Board, you commit yourself to God and his service to show your love for Him. We must follow the rules and regulations set forth in the usher’s guide, being mindful to show thyself approved. Ushers are forerunners, for they are first to greet the congregation after taking direction from the usher in charge, making sure our sanctuary is ready to receive the congregation. It is the duty of the ushers to disburse the literature for the morning worship service (programs/bulletins). We assist the pastor and ensure all is decent and in order. The ushers always greet and meet with a pleasant smile and a warm welcome, and direct the congregation to their seats. We welcome to join the Usher Board as a doorkeeper in the house of our Lord.